UNICORNS! I got a bit crazy with the mane colour options, but he was just too stinkin’ cute. 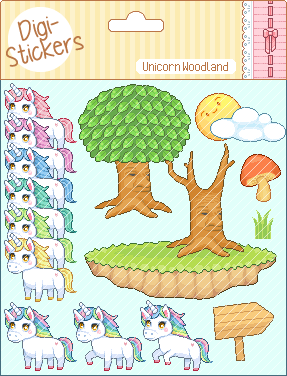 This unicorn set comes with three poses and seven mane colour variations. Props are woodland themed – wise old tree, mushrooms etc.